Chabad Jewish Community Center publishes an annual Jewish Art Calendar. 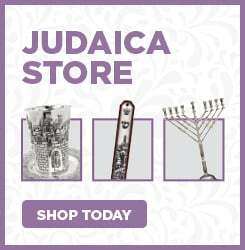 It's mailed out before Rosh Hashanah the Jewish New Year, free of charge, to our entire mailing list. 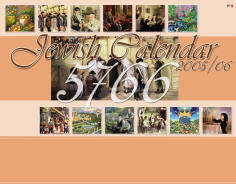 The uniqueness of our calendar is that each month it offers pictorial renderings, as well as the local Shabbat and holiday candle lighting times and information concerning all aspects of Jewish life and culture, from holiday to history, Jewish laws to customs and traditions. To receive a free calendar or to advertise click here or call 951-222-2005.